CBD isolate is one of the most versatile and beneficial compounds available to us as consumers. From a vape juice better than anything you could buy premade to a special batch of grandma’s famous brownies, the possibilities are almost unlimited. With so many options, the question quickly becomes: How do you want to consume your CBD? Do you need instant relief from pain or are you treating a skin condition? 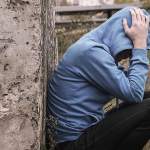 Are you suffering from seizures or do you just need a little help getting to sleep at night? No matter your needs, you can use CBD isolates to create customized treatments not commercially available. 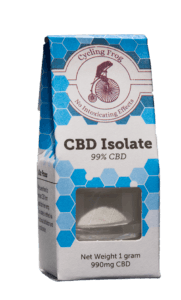 Read on for more about how to use CBD isolate, and our reviews of the best CBD isolates available online. You can add CBD isolate to almost anything. 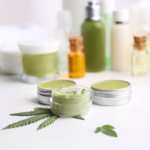 By mixing isolate with a skin-safe oil or lotion, you can create a homemade CBD topical with only the ingredients you want included. With merely a gram of CBD isolate, a few ounces of oil (sunflower, hemp, coconut, avocado, etc.) and a little bit of heat, you have your own high-quality CBD mixture. Add it to food, rub it on your skin or simply consume it straight. It’s as simple as melting butter in a pan. When it comes to CBD, DIY is king. 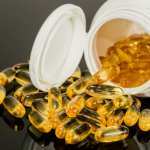 Too often, the compounds we find in commercially available products are mislabeled or created using sub-par ingredients. 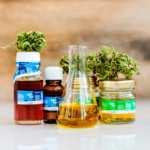 With so many great companies producing high quality CBD and CBD products, there is no reason to settle for overpriced and questionably sourced CBD. Simply heat up the nail and place the CBD on it using the dabber while simultaneously inhaling off the water pipe. As soon as the CBD touches the hot nail, it vaporizes and can be inhaled directly into the lungs. Dabbing is probably the most popular way to use CBD isolate, and it is one of the quickest and most effective ways to consume cannabidiol. In order to be included in this review, companies needed to either publicly post third party lab results or provide them upon request. Because quality and purity are such important factors when choosing CBD isolate, any company that didn’t provide third-party lab results was immediately removed from our list. Our reviewer used these CBD isolates during an especially long, physically exhausting period in his life. CBD helped to combat the effects of fatigue and soreness. For the purposes of this review, we used a glass water pipe, a quartz nail, a titanium dabber and a butane torch to vaporize and inhale the CBD directly. 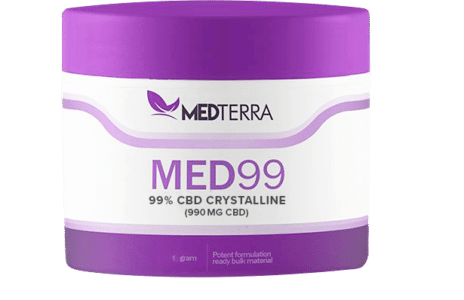 Highlights: Med99+ CBD Isolate from Medterra left no residue and tastes good, with relaxing effects but has a noticeable earth smell compared to other isolates. Appearance, Scent & Flavor: Crystalline, white powder with slight earthy scent. Mildly piney flavor. Medterra’s CBD hit all the marks in terms of our requirements. They quickly responded to our inquiries and clearly post all third-party lab results on their website. Medterra’s isolate is a solid deal for quality CO2 extracted, domestically grown CBD. Highlights: Cycling Frog from Lazarus Naturals offers a great value with their high-quality, relaxing yet inexpensive CBD isolate in both raw form and with unique added flavors. Appearance, Scent & Flavor: All varieties taste similar, piney and smooth with very light fruity undertones on the flavored varieties. Lazarus Naturals’ flavors its different varieties of CBD isolate using plant terpenes. We were impressed by our experience, but further testing is required to determine the full potential of these products. Though the flavors are very mild, they would likely become stronger if you used the isolate for cooking or in vape juice. Lazarus Naturals stands out for their clean extraction method, outstanding customer service, and discounts offered to veterans and the disabled. If you want to try all four flavors, they offer a sample pack with one gram of each flavor for only $100. Highlights: 99% Isolate CBD from Ambary Gardens is a bit more expensive than other options, however their isolate is made from organic hemp grown by the company. Dabbing this CBD was relaxing and it tasted very smooth. Customer Service & Shipping: Responsive to email inquiries. Shipping is $7.99 flat rate or free local pickup. Independent Test Results: Potency, more tests available on request. Appearance, Scent & Flavor: This isolate tasted piney and extremely smooth. These crystalline shards of isolate had an earthy odor that did not affect the flavor. For what you are getting, the price is great. Ambary Garden’s extracts their CBD from organic hemp grown on their own farm on Colorado. Of the five brands of CBD isolate we tested, Ambary Garden’s had the smoothest flavor when vaporized. 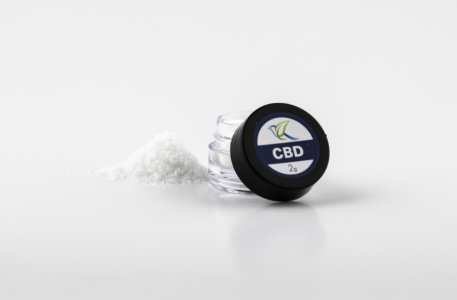 Highlights: Bluebird Botanicals CBD Isolate is a scentless, pure white powder with a mildly piney flavor and relaxing effects. We appreciated this company’s transparency and quick customer service. Extraction Method: Ethanol extraction and winterization. Appearance, Scent & Flavor: White powder with no discernable scent. Mildly piney flavor. 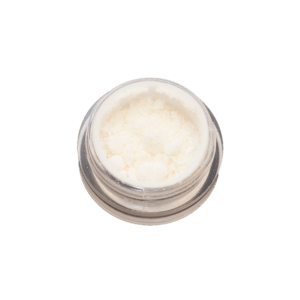 Overall, this isolate is clean, potent and pure, leaving behind no residue when vaporized. Bluebird Botanicals offers a good product at a good price backed by top-notch customer service. While this is in no way an exhaustive list of CBD isolates, it is a place to start and weigh your different options. Whatever source you find, make sure they have third-party lab tests available upon request. Brands should clearly state the origin of their hemp and the extraction method used. If not, you should contact customer service or find a different source. If you want ideas for other quality, vetted companies, the r/CBD subreddit is an invaluable resource with information about nefarious companies and unsafe products. 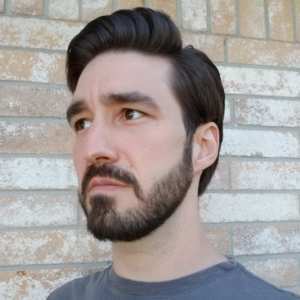 Leif Hayman is a cannabis advocate, environmentalist, photographer, and freelance journalist from Houston, Texas. Need more information about THC free products as I am in a state that it is NOT legal. If your adding Propylene Glycol to your product, your killing yourself. Look up popcorn lung. Horrible additive that makes a product cheaper, way to go corporate. Educate yourselves folks before you make a purchase. Whats in the product matters just as much as if the product can help you. Good for you Joshua, propylene glycol is a bad additive very toxic I am so displeased with this article,they tell you to make your own to keep questionable ingredients out then tell you to put them back in people please do your research.